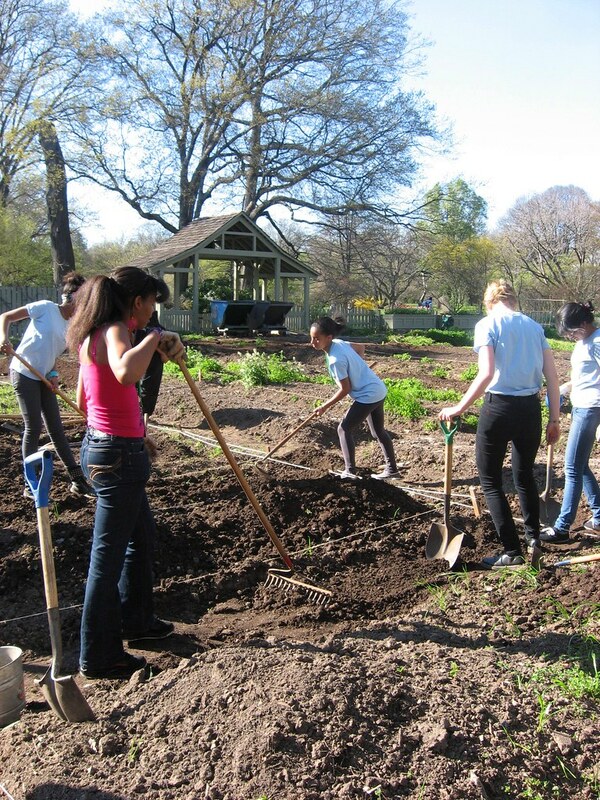 The Garden Apprentice Program (GAP) at Brooklyn Botanic Garden is a great way for teens to learn about urban agriculture and the environment while working in one of the most exciting public gardens in the world! Apprentices can work their way up the four-tier program, potentially earning a paid position as a Tier 4 apprentice. Apprentices make a nine-month commitment to GAP, from March to November, which includes spring training, summer programming, and a weekly commitment throughout the spring and fall. See the tier descriptions for more information and application links. For more information, please email gap@bbg.org. Please join us at 2 p.m. in the BBG Auditorium to find out more about the Garden Apprentice Program and the application process. Registration required to attend. Contact GAP at 718-623-7252. Please note that admission for new apprentices is contingent upon a parent or guardian meeting with the GAP coordinators, either at Orientation, or at a mutually agreed upon time prior to the first GAP training session. 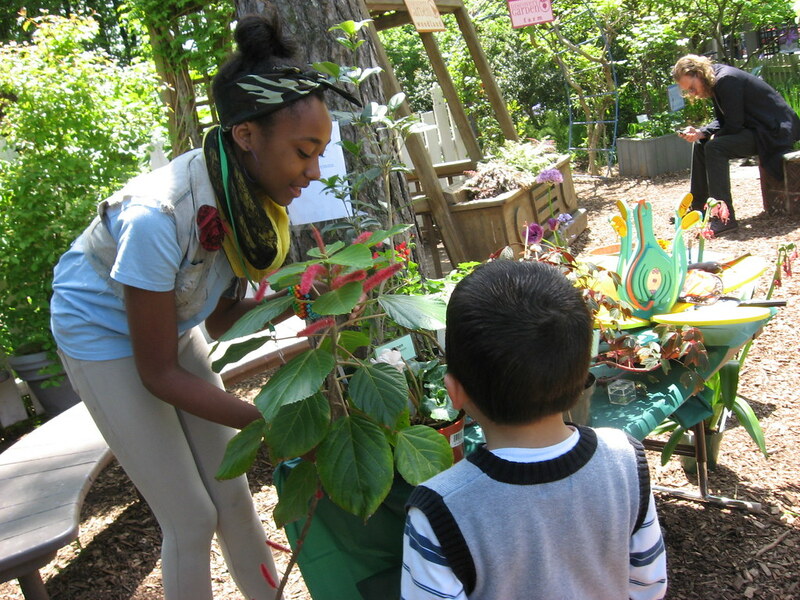 Tier 1 apprentices work alongside an adult instructor and a teen Tier 4 apprentice in the Children's Garden, helping with garden-based activities for children ages 4–10 in our after-school and weekend programs. Apprentices spend most of their time outdoors, working in the vegetable beds with children. They build skills in horticulture while learning how to be environmental educators. Gardening, nature explorations, and cooking with fresh ingredients are the main activities. Earn a monetary award at the end of the apprenticeship. 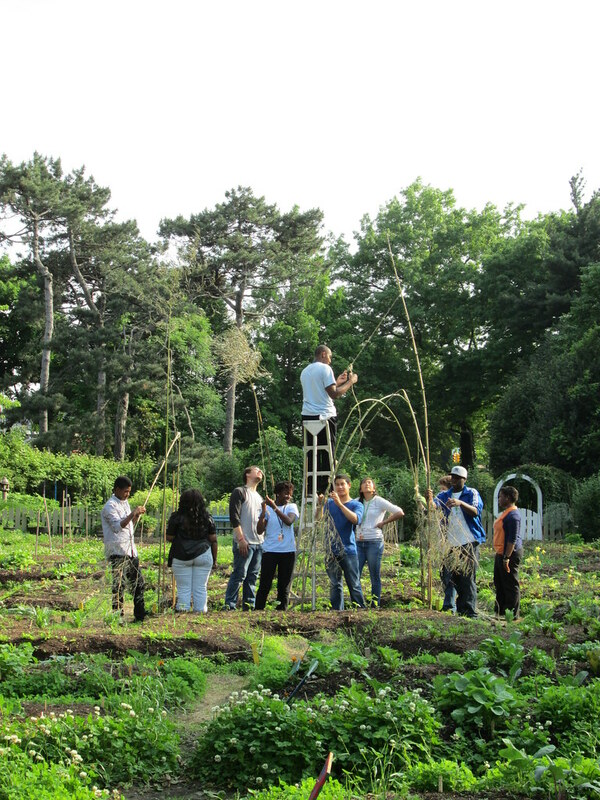 Tier 2 apprentices work behind the scenes, experiencing the range of work we do here at Brooklyn Botanic Garden. Apprentices are placed in different mentorships in the spring, summer, and fall, such as helping our Interpretation team in the Discovery Garden or running science research projects. Tier 2 apprentices also delve into current local and global environmental issues through community action projects, films, field trips, and discussions. Tier 3 apprentices run our Discovery Carts—education stations that are wheeled out onto the grounds on weekends. 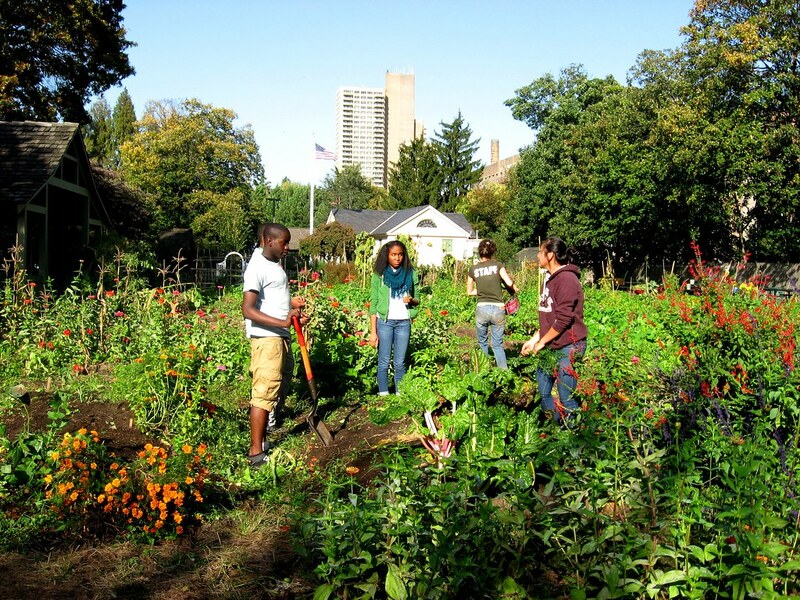 Tier 3 apprentices build public-speaking and interpretation skills as they engage with Garden visitors on nature-based topics such as kitchen botany, plant evolution, and bees in the city. They work in teams to research and create Discovery Cart topics of their own choosing. Tier 3 apprentices also delve into current local and global environmental issues through community action projects, films, field trips, and discussions. Tier 3 apprentices who are rising seniors work with a college guidance professional to start the college application process. Tier 4 apprentices work alongside an adult instructor and a Tier 1 apprentice in the Children’s Garden, helping lead garden-based activities for children ages 4–12 in our after-school and weekend programs. Tier 4 apprentices spend most of their time outdoors, working in the vegetable beds with children. 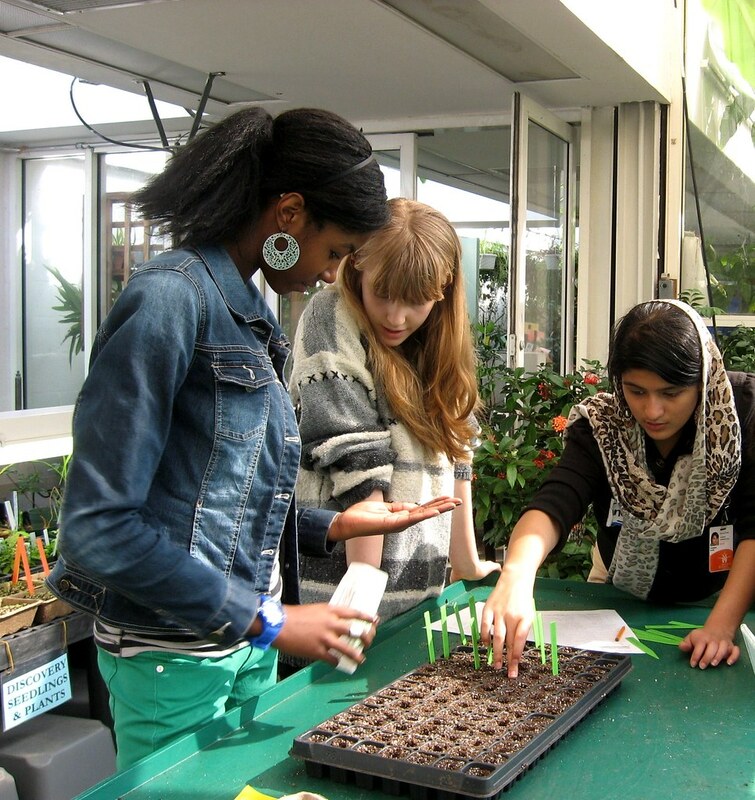 They build skills in horticulture while learning how to be environmental educators. Gardening, nature explorations, and cooking with fresh ingredients are the main activities. Tier 4 apprentices take a leadership role in mentoring other apprentices, particularly Tier 1 apprentices, as well as teams of apprentices during horticulture time. Tier 4 apprentices who are rising seniors work with a college guidance professional to start the college application process. 1. Do I have to reapply to the program every year? Yes. Even if you were in the program previously, you must submit an application (with reference letters) and participate in a group interview every year. You are not guaranteed a position in the next tier of the program just because you participated before. 2. I am in the 12th grade now—can I apply to be an apprentice? 3. If I participated in the Children's Garden programs (Seeds, City Farmers, Junior Botanists, etc. ), do I automatically get into GAP? No, we do not automatically accept anyone into the program—all students must submit a full application and be interviewed. We have many apprentices who have participated in other BBG programs, and we encourage all former program participants to apply. 4. How does GAP decide who is accepted into the program? The staff panel reviews the applications and considers the applicant's short-answer responses and the teacher's comments about the applicant on the reference forms, as well as how the applicant represents him-/herself at the group interview. We are looking for enthusiasm, genuine interest in learning at BBG, and an open mind. Past performance in the Garden Apprentice Program is also taken into consideration for returning applicants. 5. Do I have to pay to participate in the Garden Apprentice Program? All new apprentices are required to pay a one-time $50 fee to help offset the cost of uniforms and other materials provided to each apprentice. As the apprentice moves up the tiers in the program, he/she is not required to pay the fee again. Need-based scholarships are available. 6. Do I need to have gardening experience to be accepted as an apprentice? No. We have some apprentices with years of experience in growing food and working with plants and many more apprentices who have never set foot in a vegetable garden. The apprenticeship is designed so that people from all knowledge levels have opportunities to learn and explore. 7. What is the time commitment for an apprentice? Apprentices typically work an average of 5 hours per week during the spring and fall and 25 hours per week during summer programming. All apprentices have mandatory training for three full Saturdays in March. Meetings, trainings, and special events will be added periodically to the calendar. Check the applications for specific dates for each tier. While many apprentices participate in sports, clubs, college prep, and other extracurricular activities, we do ask that those serious about applying prioritize GAP, after academics. We help apprentices develop the time-management skills needed to juggle multiple responsibilities and are generally flexible regarding occasional conflicts, provided the apprentices communicate with supervisors in advance. 8. What are the dates for the 2019 program? Special meetings, events, and trainings will be added to the calendar throughout the year. 9. Can I miss the summer session and still participate in GAP? No. Participation in the summer session of the program is required, no exceptions. Please schedule family vacations and other activities before or after the dates listed on the application. 10. Can I participate only in the summer session? No. We ask apprentices to make a full commitment to the program, March–November. If you are looking for a summer internship only, this is not the place for you! 11. What if I want to go on vacation during the summer? Please schedule family vacations and other activities before or after the dates listed on the application. 12. Can I apply for Summer Youth Employment Program in the summer and still participate in GAP? Due to scheduling constraints and other concerns, we are not able to have apprentices apply for SYEP funding for the summer. 13. Do I have to start at Tier 1, or can I join the program at another tier level? You can apply to the Garden Apprentice Program at any tier except Tier 4. To apply to be a Tier 4 apprentice, you must have successfully completed Tier 3. 14. Can I skip a tier? No, we generally do not allow apprentices to skip tiers. There are opportunities and skills unique to each tier that we think are valuable as you move up through the program. 15. Could participation in GAP count toward community service credit? Absolutely! The hours you contribute to BBG as a Tier 1, Tier 2, or Tier 3 apprentice are considered volunteer hours. These hours can be used toward community service requirements from your school. Even though apprentices in Tiers 1, 2, and 3 receive a stipend for their work (see #16, below), the hours contributed are still considered volunteer hours. Tier 4 apprentices cannot apply their work hours toward community service because they are being paid for their work. 16. Do I get paid? When? Apprentices who successfully complete the program are given a nontaxable award in December, as listed below. Apprentices in Tiers 1–3 who complete the program year with perfect attendance, as defined by the GAP handbook, will receive an additional monetary bonus of $50. Tier 4: Apprentices are considered part-time BBG staff and receive an hourly wage based on the applicable minimum wage set by the NYC Department of Labor: $15 per hour in 2019. 17. Is transportation provided to and from the Garden? 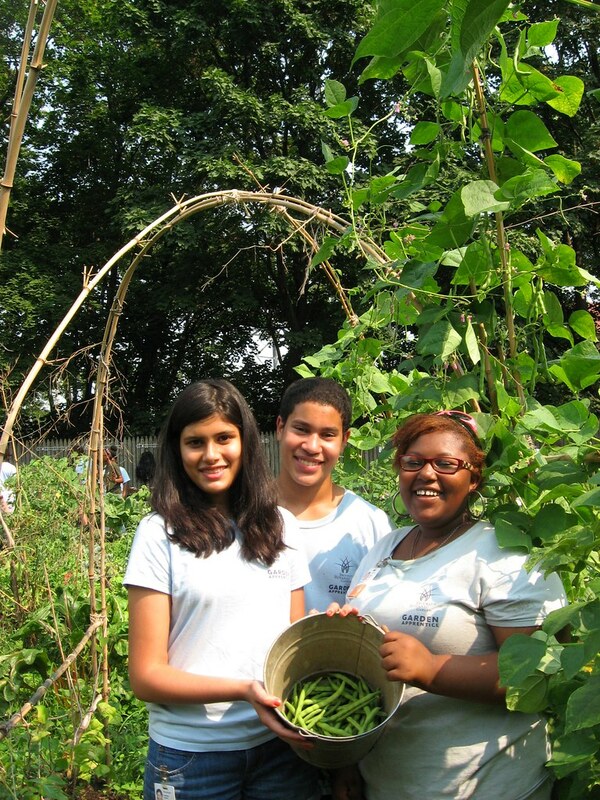 Apprentices are responsible for getting to and from the Garden for all GAP programs. Metrocards will be provided for apprentices in Tiers 1–3 if needed for transportation to and from GAP programs. Tier 4 apprentices are expected to provide for their own transportation. 18. Do I have to send in all my application materials together, or can they be submitted separately? Make sure your references know that all application materials are due by midnight, November 28, 2018! That means that forms submitted by mail must be received by GAP by November 28, not postmarked by November 28. We recommend speaking with your references well in advance of the deadline. We do not accept faxes. 19. How many apprentices are accepted into the program? GAP accepts 12 to 14 apprentices per tier. In the past, we have received about three times that number of applications. Therefore, acceptance into the program is competitive but not impossible! Good luck! More questions? Contact the GAP coordinator at 718-623-7252 or gap@bbg.org. If you would like a printable application to fill out and mail in, please email us at gap@bbg.org and provide your name and the tier you are applying for. If you would like a printable reference form to fill out and mail in, please email us at gap@bbg.org with your name and the name of the student for whom you are providing a reference. Building a bean trellis with bamboo in the Children’s Garden. Photo by GAP. Summer bean harvest! Photo by GAP. Preparing our plots for spring planting. Photo by GAP. A fall work day in the Children’s Garden. Photo by GAP. Planting trays of vegetable seedlings in early spring. Photo by GAP.